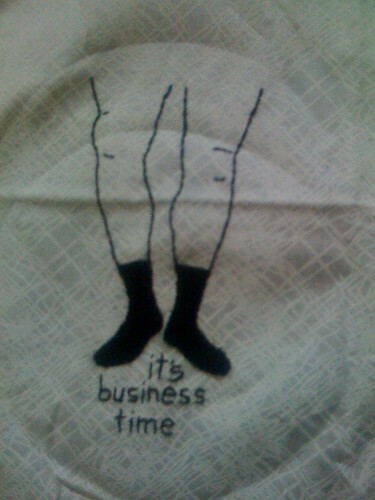 Gotta love someone who uses the Flight of the Conchords song "Business Time" as inspiration for embroidery. I love it! I loved FOTC before they were "in"! Oh! Fun and funny too. oh I wish they would have done this song when we saw them last week. The did a lot from the 2nd season. LOVE FOTC! Oh... WOW!!! I tried to make my boyfriend watch this one the other day... He didn't get it... He couldn't get past the accents. ha ha ha I love this more than anything!! !